The report relies heavily on allegations made by the former director of the Moscow laboratory at the heart of the doping scandal, Dr. Grigory Rodchenkov. According to the report, Rodchenkov several years ago noted that “the quality of steroids and other PEDs that the coaches were providing to their athletes was becoming suspect” and it was becoming difficult to know how safely they could be administered without being detected. That’s quite a cocktail. It even had a name. 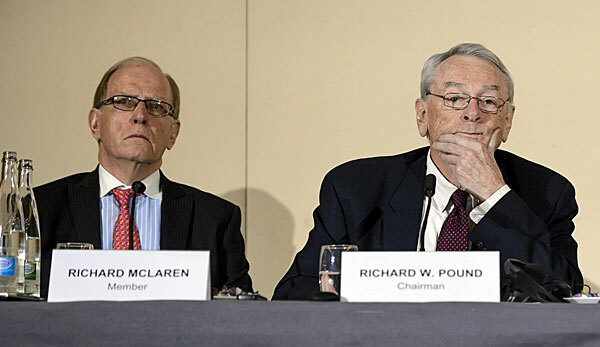 The McLaren report confirmed reports that urine samples for Russian athletes at the Winter Games were swapped out for clean samples through a “mouse hole” in the wall at a laboratory in Sochi. The hole was needed because the Sochi lab was also occupied by international observers and others, requiring secrecy — and creativity. The Russian Federal Security Service, a descendent of the KGB and key player in the scheme, played a key role, according to the report. Still, how to swap tainted samples for clean ones? According to the report, the World Anti-Doping Agency notified Rodchenkov in December 2014 that a surprise inspection of the Moscow laboratory was coming in a few days. This caused “significant anxiety” at the lab and Russia’s Ministry of Sport because the facility held a “large quantity of positive but reported as negative” urine samples. A separate anti-doping report found that Rodchenkov had destroyed 1,417 samples, but he still considered the lab at risk because of 37 specific samples that were going to be collected by WADA. That same evening, the report says, Blokhin arranged for other FSB agents to enter the laboratory. “No laboratory staff witnessed the FSB’s presence in the laboratory, however the next morning the caps of the remaining samples were opened so that the urine in them could be swapped,” the report says.